WASHINGTON — Boeing now plans to carry out an uncrewed test flight of its CST-100 Starliner commercial crew vehicle late this year or early next year as it addresses a problem found during a recent test of the spacecraft’s abort engines. That revised schedule will push back a crewed test flight of the vehicle to the middle of 2019, said John Mulholland, vice president and program manager of Boeing’s commercial crew program, during a call Aug. 1 with selected members of the media. A recording of the call was later obtained by SpaceNews. The problem with Starliner’s abort engines took place during a test in June at NASA’s White Sands Test Facility in New Mexico, where the engines, integrated to into a spacecraft service module, were being tested in preparation for a pad abort test then scheduled for later in the summer. 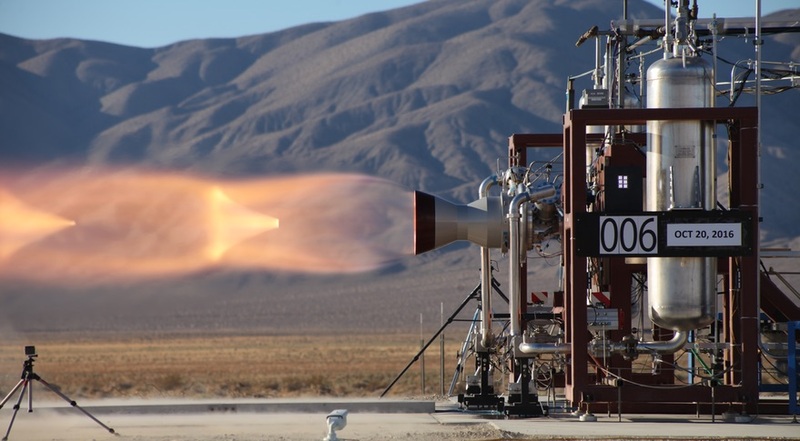 “During the startup of that test, all engines responded nominally,” Mulholland said. “At approximately one and a half seconds, we issued shutdown commands to the engines, and several of the abort engine valves failed to fully close.” That caused hypergolic propellant to leak from the engines, but did not damage the test article, he added. Mulholland didn’t state by how much this specific problem delayed the schedule of test flights. Previous official schedules, publicly released by NASA early this year, called for an uncrewed Starliner test flight in August and a crewed test flight in November, dates that were already in doubt before this problem. Boeing has also rearranged the schedule of key tests “to optimize the program flow,” he said. Originally the pad abort test was scheduled for this summer, ahead of both the uncrewed and crewed test flights. Now, he said, that pad abort test will take place in the spring of 2019, between the uncrewed and crewed flight tests. “One of the things that is not required for the uncrewed flight test is the abort capability,” he said, allowing the company to push back the pad abort test until after the uncrewed flight. Mulholland said he believed the revised schedule was realistic, but acknowledged there could be further delays. “There certainly are potential risks in front of us as we move through the remaining test program,” he said. The revised schedule comes ahead of a planned Aug. 3 announcement by NASA of the astronauts who will fly on the crewed test flights of both Starliner and SpaceX’s Crew Dragon, as well as on the first post-certification missions by both vehicles. SpaceX has not released its own updated schedule, but is also facing delays from that previously released NASA schedule that listed an uncrewed flight test in August and a crewed flight test in December. Mulholland said in the call that other aspects of the Starliner program are going well. A structural test article is nearing the end of a year-long campaign of tests, with a final test series planned for September. The spacecraft that will be used on the crewed flight test is nearly complete and will soon be shipped to a Boeing facility in El Segundo, California, for a “multi-month” series of environmental tests. The uncrewed flight test spacecraft is “well into buildup” and recently powered up for the first time. The Atlas 5 launch vehicle that will launch the first Starliner is also complete, he said, and ready to ship from United Launch Alliance’s factory in Decatur, Alabama, to Florida. That will be the first Atlas 5 to use a dual-engine Centaur upper stage. While Boeing plans to use the Atlas 5 for Starliner missions for the foreseeable future, the company is looking at the option of eventually shifting those launches to ULA’s next-generation Vulcan rocket. ULA expects to phase out the Atlas 5 later in the 2020s as the Vulcan enters service and wins certification for launching U.S. government payloads. Mulholland notes that the tower built at Space Launch Complex 41 at Cape Canaveral, Florida, to support crewed Atlas 5 launches was “augmented” so that it can be more easily modified to be used for the Vulcan rocket, which will require the tower’s height to be increased.